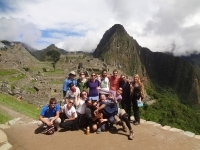 50th birthday at the Machu Picchu! 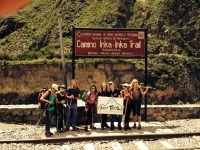 I celebrated my 50th birthday on the Inca Trail with my son, who has trekked with me. 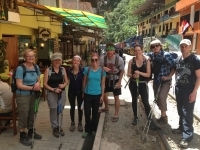 It was our first trek and the booking as well as the organization were great. We booked via internet and paid via PayPal. 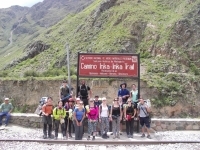 We booked the Inca Trail for 4 days and 3 nights via internet from Germany. Before booking we called the agency to check whether everything was ok and tickets available. Everybody was friendly and helped a lot. In the end we paid by PayPal and received our documents via mail. This trip is one of those things that we both had always wanted to accomplish when the time arose. We were somewhat concerned due to our 72 years, we found it strenuous, but satisfying upon completion. It was actually not as difficult as we had expected. 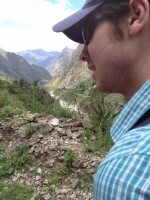 The 4D/3N trek to Machu Picchu was one of the most challenging things I have ever done. However, when we finally arrived at Machu Picchu on day 4, it was all worth it. We had an awesome group with people from all over the world and two really great tour guides (Richard y Martin). I had an amazing time from start to finish. Mabel did a great job of organizing my trip, providing me with all the required information and tickets. She was very helpful providing me with any information I asked for. Inca trail reservations even provided free transportation from the airport to my hotel. 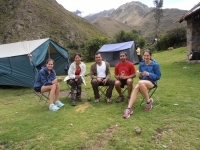 We, my wife and I, participated in 4 days Inca Trail. Empezamos este viaje con un briefing el 21 de deciembre, mucha informacion nos fue dada y salimos bien informados sobre los 4 dias que ibamos a pasar sobre el camino del Inca.